As a Bellevue home buyer, you will want to be well prepared. 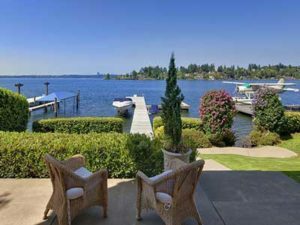 In the current Bellevue real estate market the sellers have the upper hand. Even if this were to change to a more balanced market, the services I provide to you, the Bellevue home buyer, do not change. See my helpful outline of the home buying process. Technology continues to transform the home buying process. It helps us to find homes and to identify the homes worth a visit. It helps to estimate the value of a home. Technology changes the way we make offers and how we conduct the transaction. While technology is an important driver, it is not the decider. Equipped with the same online information, two buyers will feel differently about the same home once they see it. Both will step into the home with the same knowledge, but only one will consider buying the home. Residential real estate remains a highly personal business. Likes and dislikes, personal tastes, and cultural preferences play a role. While more and better visuals are useful, virtual reality is no substitute for the real thing. Exploring a home from room to room and up and down the stairs is essential. What looked like a spacious living room online, in reality, accommodates only two arm chairs. While the expansive master suite impressed, it was large only at the expense of the other two bedrooms. The flow of the downstairs rooms was not conducive to entertaining. There simply was no logical place for that large-screen flat-screen TV. If you, like many a Bellevue home buyer, needs to finance the home purchase, you should know what you can afford. If you don’t know, you should contact a mortgage broker. If need be I will recommend one. If possible, we first meet face to face. It helps to like your real estate agent. We will exchange hundreds of emails and text messages. The better we know each other the less is the chance for misunderstandings. After we’ve established the criteria of the home location we search. I send you notifications of new homes the second they come on the market. You can search to your heart’s content online anywhere you like including this website. Together we make a short list. I perform in-depth research on each of the contenders. I will preview some for you to save time and needless travel. When we tour a home, I note comments and observe your reactions. If I find something really objectionable I will advise you not to make an offer. I will not let you buy a home that I do not want to list. My job is to protect your interests all the way to closing. I’ll take the time to explain the multitude of forms, preferably long before you have to sign any of them. I will be there with you at the final signing with escrow, function as a babysitter if need be. I’m a grandfather. Gerhard was by far the best realtor I’ve had the pleasure of working with. He went above-and-beyond to help us find our new home. He was very responsive to questions and requests for tours and worked around our schedule to take us to see prospective homes. He helped us schedule inspections and research prospective homes & neighborhoods. 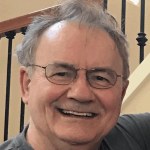 I appreciated Gerhard’s honest assessment of each home we viewed – it became clear very quickly that he didn’t just want to sell us a home – he wanted to sell us the RIGHT home. I would work with Gerhard again in a heartbeat.